Diary of a canine convert: To be, or not to be...off-lead that is? To be, or not to be...off-lead that is? 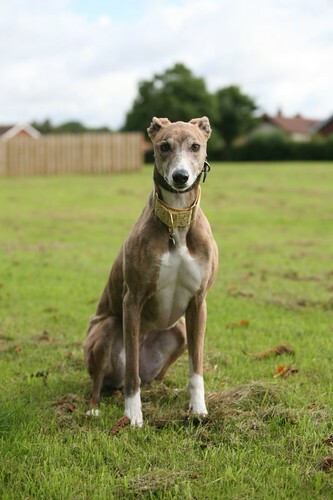 One thing that seems to divide dog owners, especially sighthound owners, is whether to let their dog off lead or not. I'm lucky as the village we live in has a great and fully enclosed playing field that is ideal for letting my 3 dogs off lead to have a good run. The playing field is completely flat and it's easy to see if other dog-owners are coming, giving me enough time to get all my 3 back on their leads. 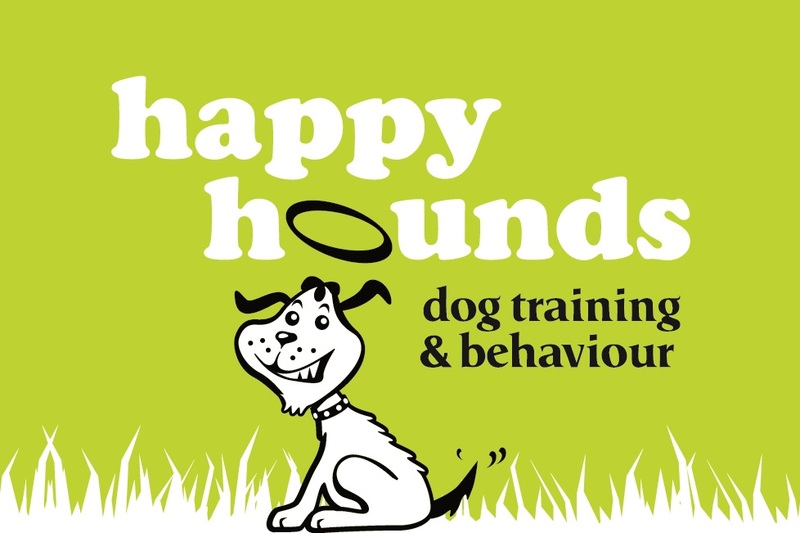 I've worked hard on developing and training all my dogs' recall but would never dream of letting them off lead when on a general walk or in a park full of other people and dogs. 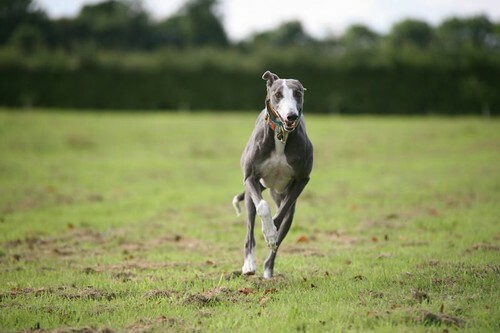 Their speed can be quite startling to other dog owners and people and unfortunately, there are huge misconceptions about greyhounds off lead. Despite my dogs' recall being good, a park with lots of new sights, sounds & distractions would not necessarily make me 100% sure they'd come back immediately. So, I never let them off lead in these situations. However, what about other dogs that are off-lead when mine are all on leads? Is it acceptable for another (usually small or toy breed) dog to come up to my dogs, yapping and then snapping and weaving in and out of their legs? I've lost count of the number of times other dogs have come running up to my three, barking, jumping, weaving in and out of legs, all the time ignoring their owner's attempts at recalling them. Unfortunately, this happened whilst my Mother-in-law was walking the dogs. An off-lead border terrier came running at the dogs, yapping and snapping... Stevie & Jasper weren't bothered, but Mina was. Despite my Mother-in-law shouting at the dog's owner to call his dog away; he didn't. The dog kept coming and Mina lunged and bit it. I'm not making excuses for Mina's behaviour, but the tirade of abuse that my Mother in law was subject to was unacceptable. The terrier owner's view was that it should be acceptable for his dog to weave in and out of my dogs legs and that as "hunting dogs" (?!?) mine should be muzzled as they're bred for hunting and being aggressive. (I'm sorry, but aren't terriers traditionally ratting dogs, known for their tenacity and snapiness?) To add insult to injury, the story now doing the rounds in the village is that "the greyhound pack all attacked his dog and that his dog was at death's door." Most people I've spoken to have said that they wouldn't have paid the vet's bill for the terrier as it was off lead and warning was given to its owner. However, we live in a village and I don't want any animosity. We paid the bill, which was for £36. Looking at the bill it was for an antibiotic jab + antibiotic tablets - hardly treatment for a dog at death's door surely? Why is this scenario any different for dogs? If they know the other dog and owner, there's rarely a problem. If they don't know the other dog, I usually take the time for on-lead introductions - gauging their reactions and taking it slowly - which leads to happier dogs and happier walks all round. I'm with you! Even Greyhound owners 'warn' each other NEVER to let their dogs off all at once as they'll turn into killers. As a dog walker I'm fed up with other dogs barging into mine when they're all onlead as it's always Beauty who gets hurt by the other dogs tangling her in their leads. I am about to start carrying a small 'super soaker' water pistol to deter them. Abuse I can take, got a thick skin! My dog being hurt (or any of the dogs I walk) I can't take. This doesn't directly address the unfortunate incident but I think it's important for a dog to also be a dog off lead. I don't think you can fully know your canine friend if they are only and always on the lead. Wyatt was with us about 4 years before I ever took him off lead -and the resulting happy dog made me think I needed to have done this sooner. I found a large open area where he could run off lead without other animals and people around and he loved it. He became more confident and a happier dog in these more natural environments. But for your situation, I would like to have seen an option where you both split the bill. I should add we did take him to dog parks but he just stood there and stared at us. Even with other greyhounds he would not join in the fun. 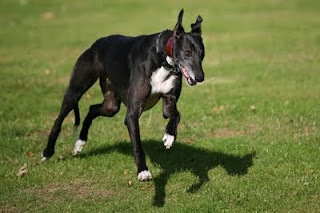 When we went to wide open spaces with no one around, he became a very happy and joyful greyhound. Running, running, running in this more natural enviroment with great smells. As a fellow greyhound owner, & volunteer dog walker at my local sighthound rehoming charity, I share your sentiments exactly - Why is it always the on-lead hound (& their owner) that gets the blame when the off-lead smaller dog is allowed to roam freely with complete disregard!